In honour of Livestrong day today, October 2nd, 2011, the 15-year anniversary of Lance Armstrong’s cancer diagnosis, I thought it was a great time to post some thoughts about Lance and Livestrong. It is difficult to discuss Lance without acknowledging that that throughout his career as a pro cyclist and cancer activist, Lance has received some negative press with numerous doping allegations. This is surely a controversial topic, and is one that people often ask for my opinion about. It is well known that my boyfriend Dave and I are big Lance Armstrong fans. Our bike room has multiple Lance and Livestrong posters, we often wear our “Go Lance Go” and “Vive le Lance” t-shirts, we own every TdF DVD that he ever won, every book written by or about him, and until the accident that forced us to get a new car this year, we had a L8nce bumper sticker on our car (the 8 signifying our belief that he could win an 8th tour in his comeback). 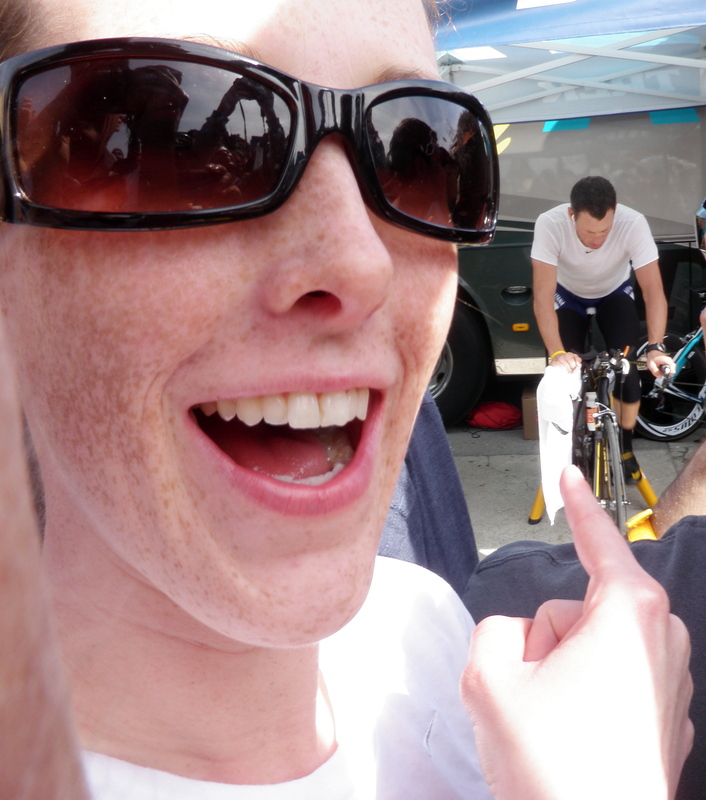 We even travelled to California to watch the Tour of California in 2009 and 2010 to watch him race. The closest I've ever gotten to Lance. Standing in front of him while he warms up for the 2009 Tour of California time trial. It was pretty awesome! Yes I like Lance. I do have an opinion about the doping allegations as well. But before I give my opinion about that, I want to share a couple Lance facts and thoughts. In case you live under a rock, Lance Armstrong won the Tour de France a record 7 consecutive times from 1999 to 2005 AFTER being diagnosed in 1996 with testicular cancer that had metastasized to his brain and lungs. The TdF is the best-known and most prestigious cycling race in the world, and lasts three weeks covering around 3600 kilometers. No other cyclist has won the Tour de France 7 times in a row. The next closest is 5. Lance’s success in winning cycling’s biggest race an unprecedented 7 times in a row is largely responsible for increasing the popularity of cycling across (and likely outside) North America. Even outside cycling, there has rarely been an athlete so completely dominant. Lance became a household name to those who hadn’t even ridden a bike in their life. Cycling isn’t really one of the household sports in North America either that every kid grows up with an awareness of like baseball, hockey, basketball etc. I am positive that Lance’s success raised the profile of cycling, resulting in development of more programs and inspiring countless kids and adults to pick up a bike and try cycling. 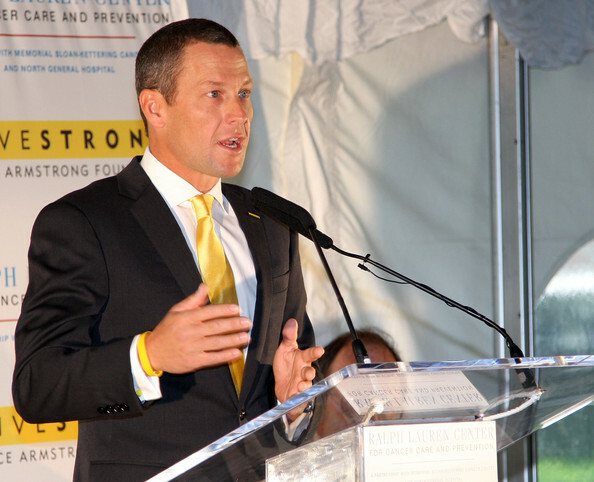 In 1997, Lance started the Lance Armstrong Foundation. Livestrong is a registered trademark of the LAF. Livestrong provides support to guide people through the cancer experience, brings them together to fight cancer—and works for a world in which that fight is no longer necessary. To date, the LAF has raised $325 million dollars toward their mission. 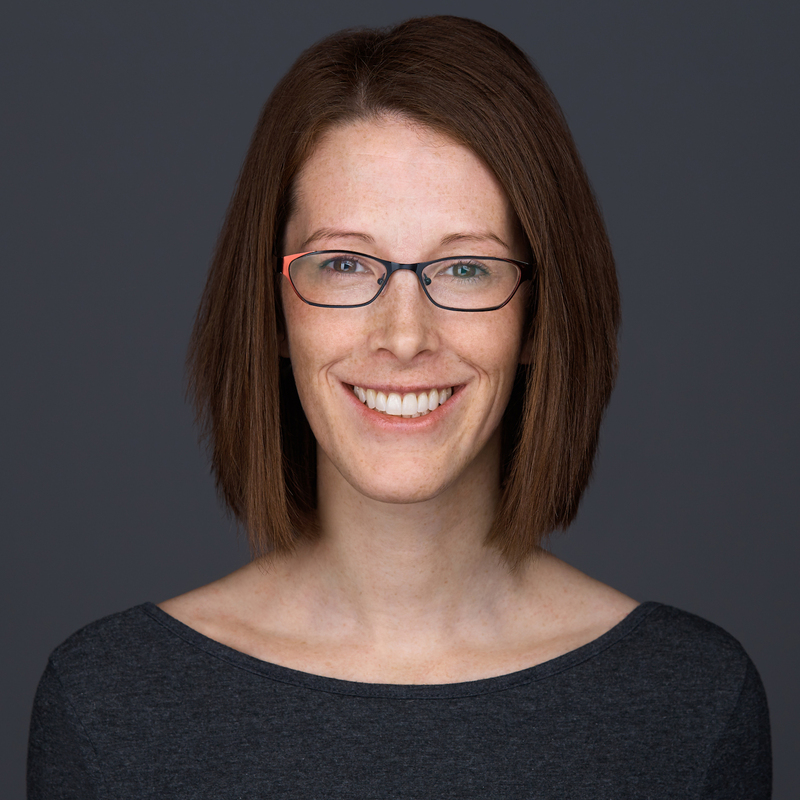 Livestrong has filled a necessary void in the cancer community that government and other not-for-profit organizations had left in their efforts. The most famous Livestrong endeavour is the yellow Livestrong bracelet. The bracelet was launched as a fundraising item, costing $1. Since their launch in 2004, 80 million have been sold. I’ve been wearing one since 2006. In addition, to fundraising, the bracelets also raise awareness of the fight against cancer, and in my opinion is probably one of the biggest initiatives to have popularized, or made fashionable, cancer fundraising efforts – a feat that is likely a necessity for raising large amounts of money for any cause. 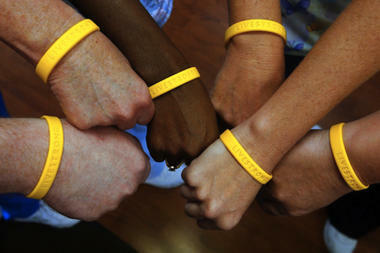 80 million Livestrong bracelets have been sold since 2004. 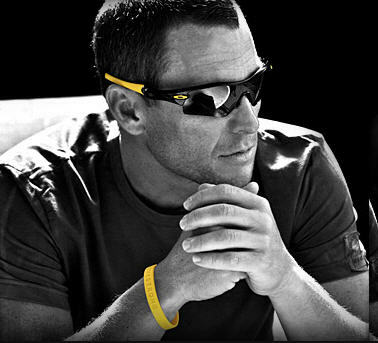 Lance has taken advantage of his relationship with personal sponsors like Nike and Oakley to create Livestrong clothing, glasses, shoes and bags that also increase awareness and raise funds for the foundation. Livestrong increases awareness through campaigns and programs at schools for kids, in less developed countries, at the government and public health level, and in local communities. It provides resources, education and support for cancer survivors and their families. Livestrong also uses money raised to fund community projects and cancer research. My research uses exercise in the rehabilitation of cancer patients during and after treatment. Livestrong has funded many related research projects in the US. We now know that exercise is both safe and beneficial for cancer survivors, but we still do not know the best method for delivering this intervention to cancer survivors outside of our research studies. Livestrong has taken a lead on delivering exercise programs to survivors through a partnership with local YMCA’s across the US. Lance has personally touched and inspired many people around the world, he has met countless cancer survivors, visited hospitals, given talks etc. These are all reasons why I am a Lance fan: not only is he one of the greatest athletes cycling has and will ever see, but he has used his experience with cancer and his fame gained from cycling to touch the lives of millions around the world. 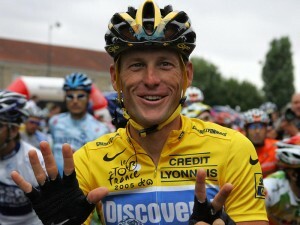 So getting back to the question at hand: what is my opinion on the doping allegations against Lance? Honestly, any possible outcome is not going to affect what he has done for the sport of cycling and the cancer community up to this point or likely in the future. Has any other single individual has such a strong positive impact in two different arenas? The fact is Lance has done so much good in this world, that nothing can ever take that away. The common thought is that it would be bad for the sport of cycling if he were found guilty in the ongoing investigation of the doping accusations. (Which, by the way would be based only on circumstantial evidence and eyewitness testimony from individuals who have questionable credibility, as there has never actually been a positive test). But are those individuals who started cycling because of what Lance’s success has done for the sport going to suddenly quit? Are they going to lose what they got from taking up the sport? Are future potential cyclists not going to start? Is the $325 million that the Lance Armstrong Foundation has raised to help cancer survivors going to disappear? Are all the lives that Lance and his foundation have touched not going to mean as much? Is the foundation going to stop raising money in the future? The answer is a resounding NO!!! I’ve been trying to cut down on my exclamation mark usage, but this answer deserves it. To me, the conclusion of the grand jury for the investigation into the doping allegations is not going to change my thoughts or feelings about Lance. 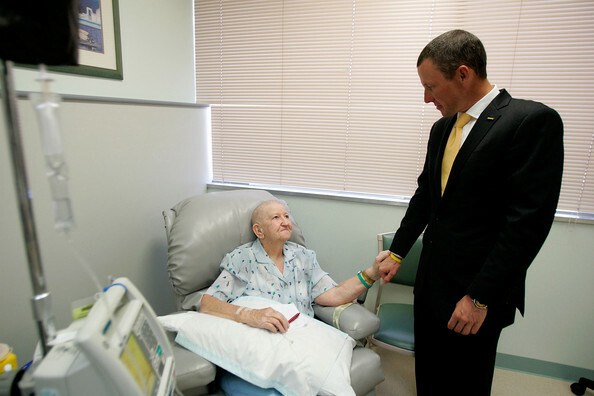 Lance Armstrong is and always will be a hero to me for both his athletic and philanthropic pursuits.